Wildfires have almost become a year-round threat in some parts of the western United States. From Colorado to California, it feels like the blazes from last year never went out. Flames ignited forests and chaparral virtually nonstop in 2017, and the year ended with record infernos in Southern California that burned well into 2018. Officials don’t refer to “fire seasons anymore but rather to fire years,” Jennifer Jones, a spokesperson for the National Interagency Fire Center, told me in an email. The NIFC reports that this year, wildfires have burned more than 3.9 million acres, about 11 percent above the average since 2008. At the moment, 13 states are reporting large fires, from Alaska to New Mexico. On Thursday, the Carr Fire erupted in Redding, California, sending a 100-foot-high “wall of flame” through the town. The fire has already engulfed more than 44,000 acres, skipped over the Sacramento River, and is just 3 percent contained as of Friday morning. The blaze has killed two firefighters and prompted mandatory evacuations for many of the city’s 92,000 residents. The Ferguson Fire near Yosemite National Park has meanwhile burned more than 45,000 acres, an area more than 51 times the size of Central Park in Manhattan, since igniting on July 13. More than 3,400 firefighters from as far away as Virginia are fighting the blaze. As of Friday, the fire was only 29 percent contained and had led to the death of one firefighter, Braden Varney. Further south, in San Bernardino National Forest near Los Angeles, the Cranston Fire ignited Wednesday morning forcing more than 3,000 people to evacuate. Authorities believe an arsonist is behind the 11,500-acre blaze. California Governor Jerry Brown declared states of emergency for Shasta County, where the Carr Fire is burning, and Riverside County, where the Cranston Fire continues to rage. Meanwhile, the Substation Fire near Portland, Oregon, has torched 79,000 acres and forced 75 households to evacuate. It’s just one of 160 wildfires across Oregon, though most fires are currently in the southern part of the state. As of Thursday morning, the Substation Fire is 92 percent contained. And in Colorado, wildfires have already ripped through more than 175,000 acres, and the ensuing rains have brought mudslides along the freshly denuded landscape. And it’s likely to get worse. Many parts of the US are facing a higher than normal fire risk this year. It’s an alarming echo of last year’s devastating fire season, which charred more than 10 million acres, making it one of the worst years in more than three decades. California suffered its largest wildfire ever, the Thomas Fire, which engulfed an area 1.6 times the size of New York City. As firefighters take on new blazes and homeowners rebuild in the ashes, here are some things worth knowing and what we can expect for the remainder of the fire season. A key thing to remember is that wildfires are ordinarily a natural phenomenon. Many parts of the US are primed to burn, and fires are vital to the ecosystem, restoring nutrients to the soil and clearing out decaying brush. Trees like the Jack pine only release their seeds after a fire. Plants like buckthorn need fires to germinate. But the destruction from the gargantuan blazes we’ve seen in recent years is hardly natural; human activity is clearly making it worse. For one thing, humans start the vast majority of these fires, upward of 84 percent of them. California officials have blamed a dozen of last year’s fires on Pacific Gas and Electric’s power lines. Utilities were also blamed for fires in Nevada. 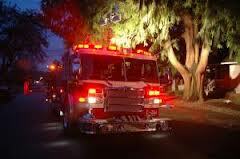 Arson was suspected for fires in Northern California. Another factor is how humans use the land. People are increasingly building closer to the wilderness, blurring the line between suburbs and shrubland. That means that when fires do burn, they threaten more lives and property. Meanwhile, active fire suppression in some areas has allowed dry vegetation to accumulate, so when embers ignite, it causes a massive conflagration. And of course, the climate is changing, mostly due to human activity. Rising average temperatures have led to western forests drying out, increasing the risk of fires. There are 129 million dead trees in California alone. Across the state, the total number of fires is trending downward, but the size of fires is going up. But in Southern California’s fires, like last year’s Thomas Fire, scientists don’t see a climate signal just yet. The region is hot and dry year-round. Drought can actually kill off the grasses and shrubs that would ordinarily burn. As a result, the fire risks haven’t demonstrated an association with rising temperatures so far. However, modeling shows that by 2050, climate change will increase the size of burned areas in Southern California. Despite the significant swaths of the country that went up in flames last year, there is still plenty of fuel around, even in areas that ignited last year. “Although  was the second highest number of acres burned since 1960, it is a fraction of the more than 1 billion acres of vegetated landscapes in the U.S., so there is a lot of land left to burn,” said NIFC’s Jones. In fact, new vegetation has already sprung up. That’s because the winter brought much-needed moisture to the drought-stricken West, despite an unusually warm winter. Scott McLean, a spokesperson for the California Department of Forestry and Fire Protection (Cal Fire), explained that the precipitation spurred fast-growing grasses and shrubs. The searing, record-setting heat that followed this year dried out plants, leaving many parts of the West coated in tinder. In California, fires have already burned more land and Cal Fire has initiated 200 more fire responses now than it did at the same point last year. There are still drought conditions in Colorado, Utah, and Arizona that will likely persist even after seasonal rains, and lightning from the storms threatens to ignite new wildfires. Fire risks are lower in northern Montana and Washington state due to a wet spring. As with last year, the fire potential will increase in the early fall along coastal Oregon and California as fast-moving seasonal winds pick up. Firefighters are trying to apply some of the lessons learned from last year’s blazes. Cal Fire says it has managed to contain the vast majority of fires in its jurisdiction to less than 10 acres. But with more development in fire-prone regions, it’s getting harder to balance the demands to protect property against the need for the land to burn. It would also help to have policies that discourage building in the highest-risk areas. That’s difficult when the population is growing in many parts of the West and some of the cheapest land for new housing is in those regions poised to burn. So far, this year, it seems that many of the same mistakes that have put people at risk are being repeated. In California, some residents are rebuilding in the same fire zones where homes burned last year, spurred in part by insurance payouts. Correction: An earlier version of this article said referred to the Substation Fire as being in Southern Oregon. The fire is in the northern part of the state. For more information about fire season, call CJ Suppression at 888-821-2334 or visit the website at www.cjsuppression.com. CORONA, Calif. (KABC) — As the bulk of a rain-heavy storm moved out of the Inland Empire, mandatory evacuation orders in parts of Corona were lifted Thursday. The evacuation orders were issued Wednesday afternoon for neighborhoods that were affected by the Canyon Fire, which charred about 2,600 acres between Anaheim Hills and Corona. The brush fire started in September and threatened mostly homes in the Corona area before fire officials finally gained control of it. Many burn areas across Southern California were under threat of possible mudslides or debris flows and flooding as a strong storm moved into the region. The heaviest rainfall was expected Thursday morning into early afternoon and then it would clear in some areas. Light and scattered showers were expected throughout the evening and into Friday morning, but a threat of storm damage would no longer be an issue. 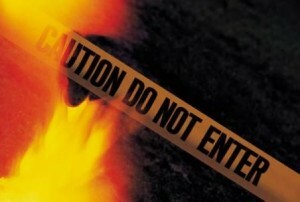 For more information about fire safety, call CJ Suppression at 888-821-2334 or visit the website at www.cjsuppression.com. Firefighters took advantage of light winds in Santa Barbara County late Sunday, mounting an aggressive attack directly on the massive Thomas fire’s western face a day after powerful gusts pushed flames toward homes along the coast. Crews were in place to protect homes should a wind shift send the wildfire toward neighborhoods overnight, but authorities said that’s unlikely. Just a day earlier, stronger-than-expected winds kicked up and triggered an epic battle to save homes along the coast. Two homes in the Montecito hills were destroyed and about a dozen structures damaged during Saturday’s flare up. But firefighters were able to protect about a 1,000 structures because of advanced preparations, officials said. Evacuations were also lifted for the Carpinteria area. As of Sunday evening, the third-largest wildfire in modern California history was at 270,000 acres and 45% contained, officials said. Fueled by Santa Ana winds, with gusts topping 70 mph early Sunday in some valley and mountain areas, the blaze burned a massive swath from Santa Barbara to Ventura. By late Sunday, winds had dropped down to 3 to 5 mph, with gusts of about 10 mph, Crawford said. “We’re in pretty good shape for the time being,” he said. In Ventura County, firefighters concentrated their forces in the hills above Fillmore where the wildfire stayed within containment lines. Their efforts were hampered during the day by dry conditions combined with low humidity and winds of about 35 mph. Red flag conditions were forecast in the mountains and valleys of Los Angeles County through Sunday evening as well as parts of Ventura, Orange, Riverside and San Bernardino counties. Winds are expected to stay calm Monday and Tuesday at 10 to 20 mph, which will “look tranquil” compared with the weekend gusts, said Kathy Hoxsie, a meteorologist with the National Weather Service in Oxnard. Those calmer conditions should allow firefighters to focus on more defensive work such as bulldozing fire lines and dropping fire retardant. The humidity levels should also increase during the early part of the week — another help for fire crews, Hoxsie said. But it will be a short respite, as strong winds and low humidity are expected to return on Wednesday in Santa Barbara County and Thursday in Ventura County, Hoxsie said. In advance of the weekend flare-up, firefighters smothered portions of the Santa Barbara County hills with hundreds of thousands of gallons of fire retardant to keep embers from igniting spot fires. Some hillsides were intentionally denuded above Montecito, Summerland and Carpinteria, including in Romero and Toro canyons, to limit the potential damage. Santa Barbara County Fire Division Chief Martin Johnson told reporters Saturday night that the aggressive prevention measures had paid off. Hundreds of homes were spared. As the winds began to die down in Santa Barbara early Sunday, fire officials said they were going to take advantage of the moment and extinguish smoldering hot spots in the Montecito area. Rusty Smith, 57, said he fled his home on Gibraltar Road about 1 a.m. Sunday. He stayed with a friend nearby and set his alarm clock to wake him every 90 minutes so he could see if the flames had reached his house. But firefighters managed to save Smith’s house and about two dozen others in the neighborhood. Resident Lucas Merrick returned Sunday around noon to find that his home also had been spared. As helicopters dropped water on smoldering vegetation, Merrick said his hillside property is much more than a home for him and other residents. Not all homes were spared. On Sunday, a multimillion-dollar house on Park Hill Lane in the Montecito hills was still burning. From the outside, the Spanish-style structure appeared intact, but the interior was almost completely gutted. All that remained was smoldering ash. Despite the loss or damage of some homes in the Montecito hills, fire officials emphasized that more homes were saved than lost. Orange County Battalion Chief Mike Summers huddled with his team of firefighters gathered in the parking lot of Cold Springs Elementary School to discuss the day’s plans. The fire had reached into the backyards of some homes on Saturday, and officials wanted to make sure that they were no longer threatened. He said his crews would be patrolling along Coyote Road to clean up any hot spots. Despite the long hours, Summers said his team was in good spirits and well-rested. He’s been on the fire for about a week and expects to work through Christmas. Humboldt firefighter Jake Illiam, who was among the crews working in Montecito, said he was also missing his family. He said his daughter will turn 1 this week. “Today was her birthday party,” he said. Fire officials said that 8,300 fire personnel have been mobilized to fight the Thomas fire — the largest mobilization of fire crews to fight any wildfire in California history. Firefighting costs so far stand at $110 million. By Saturday afternoon, Santa Barbara County appeared to be in recovery mode as evacuation orders were lifted for areas around Carpinteria. For more information about wildfire safety, call CJ Suppression at 888-821-2334 or visit the website at www.cjsuppression.com. As the Canyon fire came racing toward Corona homes Monday night, winds whipping up 50-foot towers of flames, ash and embers raining down on residential streets, the situation looked dire. “I didn’t think I would see our home again,” said 88-year-old Carmen Sarmiento. But thanks to the work of more than 1,900 firefighters from across the region, only three homes were damaged and none were destroyed, officials say. An evacuation order covering about 600 threatened homes was lifted Wednesday morning and the Corona-Norco district announced in the afternoon that all schools will be in session Thursday. As residents began to return to the neighborhoods, waving to and even hugging firefighters, the overwhelming sentiment was gratitude. She hugged one of the firefighters who was standing on a sidewalk greeting the returning evacuees. As of Wednesday evening, the fire remained at 2,000 acres, or just over 3 square miles, and was 35 percent contained, said Capt. Larry Kurtz with the Orange County Fire Authority. The size hasn’t grown since Monday night, while containment more than doubled from Tuesday night. He said firefighters had most of the northern edge of the fire contained and were now focusing on the southern edge, away from the freeway, where the flames pushed into the Cleveland National Forest. “We’re building lines as we go,” he said. When the evacuation was lifted about 10 a.m. Wednesday, a few residents came home to find damage, others saw the evidence of frighteningly close calls and still others were relieved to find their property unscathed. Carson Richert was still in shock from his first brief visit home Tuesday, when he discovered a hole in his ceiling and insulation all over the floor. Fire officials say an ember likely entered his attic and started a fire. While the structural damage was daunting, none of his personal belongings were destroyed. When Sandra Raynolds saw the fire cresting a hill Monday night, she grabbed her little dog, Chuy, her credit cards and her checkbook. “It was so scary,” she said. On Wednesday, she saw the flames had charred vegetation a few feet from her rear patio. “It’s incredible what they did,” said of the firefighters who saved her neighborhood. She and her sister, Maria Johnson, both gave hugs to Orange County Fire Authority Capt. Steve Concialdi. Johnson said she didn’t expect to see her home still standing. “It’s an amazing job they did,” said Johnson, who moved in four years ago with her husband and her sister. Their San Ramon Drive house was recently remodeled. “Thank you. Thank you for risking your lives. We’re very grateful for your work,” Johnson said. A U.S. Forest Service map outlines where the Canyon fire has burned in the foothills of eastern Orange County and western Riverside County as of Wednesday, Sept. 27, 2017. The eastern edge of the fire got just over Coal Canyon Truck Trail; the western edge reached residential streets in Corona; the northern edge stayed below the 91 Freeway and the southern flank pushed into the Cleveland National Forest. The Canyon fire started Monday afternoon off the eastbound 91 Freeway near the Orange-Riverside county line, just within the eastern limit of Anaheim. The cause is still under investigation. A communications site that’s part of Riverside County’s public safety radio network was damaged when a propane tank exploded at the Sierra Peak site, county Fire Chief John Hawkins told the Board of Supervisors on Tuesday. At the fire’s most dangerous point, 1,900 structures were threatened, fire officials said. About 600 homes were evacuated Monday night as the fire, which had been burning for a few hours, suddenly tripled in size in just over an hour. Classes were canceled Tuesday and Wednesday at seven schools near where the fire was burning. All evacuations were lifted Wednesday and all roads were open, but only residents with ID were being allowed to return. With the evacuation over, all schools will reopen, but district officials said they will continue to monitor the air quality in case activities need to be modified. The South Coast Air Quality Management District said the fire was producing less smoke Wednesday than before, but air quality could still be unhealthy in Orange County, Corona and Norco. Before the evacuation order was lifted, some residents of the Dominguez Ranch neighborhood were anxious to return home. He and his 7-year-old his grandson, also named Nick Chavez, evacuated Monday and walked home Tuesday night because, while people with ID were being allowed in, roads were closed during the evacuation. Both then had to trek back down Wednesday morning to their car parked at a shopping center outside the evacuation zone. Nick Chavez walked his grandson, also Nick Chavez, 7, from their Dominguez Ranch neighborhood to take the boy to school Wednesday. Others expressed thanks to firefighters. “To all the firefighters and all the first responders, we just want to say thank you,” said San Ponte Road resident Carlos Teves, whose family put up a sign in their yard to show their gratitude. 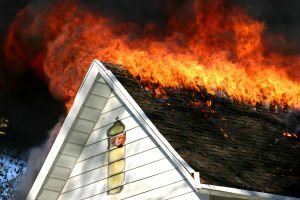 For more information about fire safety during fire season, call CJ Suppression at 888-821-2334 or visit the website at www.cjsuppression.com.